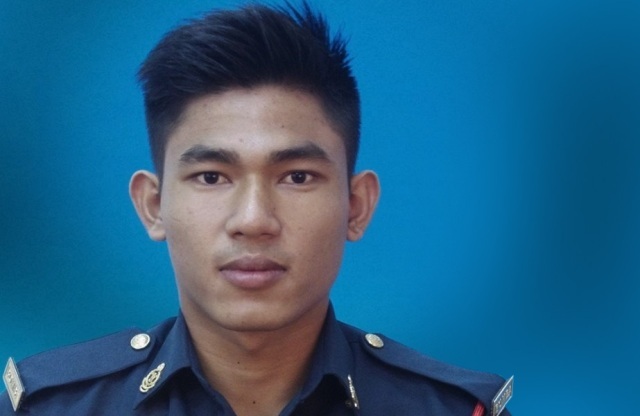 SHAH ALAM: The Coroner’s Court was today told that it was highly possible that firefighter Muhammad Adib Mohd Kassim was forcibly pulled out from the Emergency Services Assistance Unit (EMRS) van during the riots near the Sri Maha Mariamman Temple in Subang Jaya last year. Former senior forensic and pathology expert at Hospital Canselor Tuanku Muhriz, Prof Dr Shahrom Abd Wahid, 62, said it was also possible that he was smashed against the door of the van with a force exceeding 3,000 Newton or by more than three men, causing his ribs to fracture. The 29th witness said this was based on the video showing a re-enactment of the incident and the injury pattern on the deceased. “The victim died due to severe injuries to his right and left lung caused by blunt force trauma. The blunt force trauma was not self-inflicted but was caused by two or more people,” he said. He said this when replying to a question by lawyer Syazlin Mansor, who is representing the Ministry of Housing and Local Government (KPKT) and the Fire and Rescue Department, on the 23rd day of the inquest into the death of the firefighter. Earlier, Dr Shahrom said the victim was probably dragged out of the van based on the scrape wound on the back of his body, and the front buttons on his uniform that had come off. “The injuries also showed that it was not possible for the victim to have got down from the van by himself,” said Dr Shahrom, who had testified at the inquest into the death of Selangor Customs assistant director Ahmad Sarbaini Mohamed, who fell from the Malaysian Anti-Corruption Commission building in Kuala Lumpur in 2011. The witness said he was also of the opinion that the door of the EMRS van was forcibly kicked until it caused the scrape wound and broke the ribs on right chest of the firefighter and bruises on his right lung. “The edge of the EMRS door was forcibly kicked again, causing two bruises on his upper right arm,” he said, adding that it was not possible for the victim to have been pinned between the Fire Rescue Tender vehicle and the EMRS van as that would have left different injury marks. “If he was pinned, there was a big possibility that he would have died there…I’m making this conclusion as to what could have happened to Muhammad Adib based on the documents, material and video obtained from lawyer Syazlin,” he said. 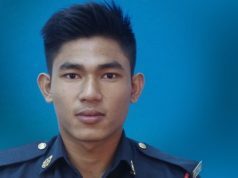 Muhammad Adib, 24, who was a member of the Subang Jaya Fire and Rescue Station EMRS, was seriously injured during a riot in the vicinity of the Seafield Sri Maha Mariamman Temple in USJ 25, Subang Jaya, on Nov 27 last year. He died at the National Heart Institute on Dec 17. The inquest before Coroner Rofiah Mohamad continues tomorrow. Previous articleவிரைவில் இந்தியா கொண்டுவரப்படுகிறார் விஜய் மல்லையா! Next article1.4 மில்லியன் பணம் வழங்கிய விவகாரம் ஹாடிக்கு தெரியாது! Inques Adib: Pakar perubatan forensik dicaci?